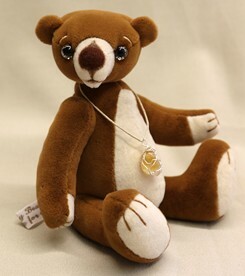 In 2005, Kat Hartley of Brierley Bears decided she would make a bear for a new baby cousin using a pattern from an old soft-toy book that belonged to her mother. "The bear wasn't jointed but it was made from soft fleece." 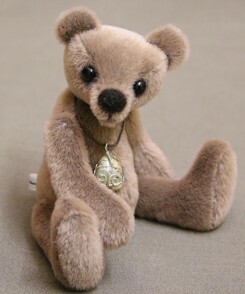 Inspired by that creation, Kat decided to take a bear making course and made her first fully-jointed bear. "He was an old fashioned bear that I called 'Patch.'" Once introduced to the wonderful world of artists bears, she decided to start designing her own and it took off from there. 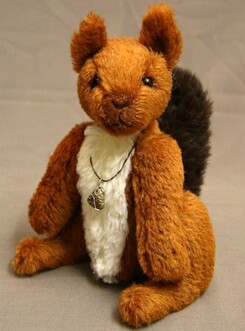 Kat splits her time between working as a full-time sales administrator and creating her bears. 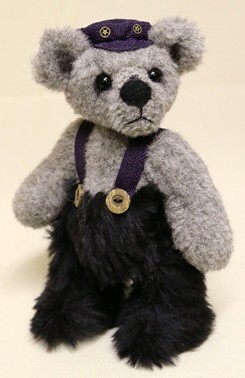 "I usually make around 10-20 bears a year because I am not able to work on them every day due to my job. Sometimes it can take me a few weeks just to complete one." 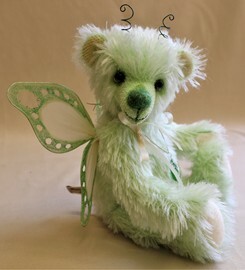 Her favorite part of the creations process is seeing each new bear finished. "I always find it a nice surprise when its little character shines through." Kat completes each bear entirely by herself. "I have very high standards, so I like to be in control of every part of the bear making process." She also likes to make different styles so that one doesn't look too similar to another. "I like variation," she admitted. In particular, she likes to add weight to her bears. "Every creation that I make is heavy. I fill them with heavy polyester fibre and they are weighted with steel shot." 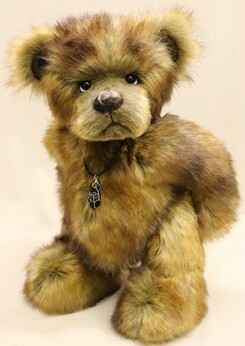 "Quality has always been important to me, even with the first bear, but I think that the style of my work has most definitely improved and they are much heavier than when I first started making them," she said. In addition, Kat likes to let material inspire the design; sometimes adding a crystal pendant. "I get inspiration from nature. I love to walk in the woods. I love the smells and sounds there and I love watching the animals." She's very lucky to have a wonderful view from her home in Brierley, a village in Barnsley, South Yorkshire, England where she lives with her husband and German Shepherd dog. 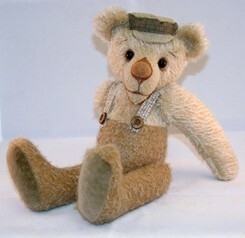 The village gave her the inspiration for her company name, Brierley Bears. 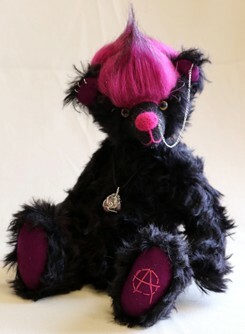 Kat runs the gambit of styles, producing traditional and fluffy bears, steam punk, fairies and even punk bears with lots of piercings. 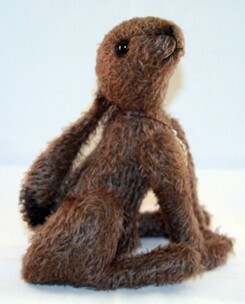 She creates hares, rabbits, squirrels and even a koala and unicorn. In addition, she fills her life with dragons, enjoys reading old myths and Gothic horrors stories and is teaching herself to read tarot and oracle cards. 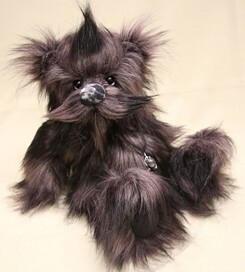 Her unique style finds its way into her life right down to "rocking out" with heavy metal or old rock while creating her treasury of furry friends. 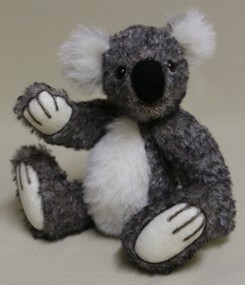 Kat sells her bears from her web site and through several bear/craft fairs in the UK. Her talents have earned her recognition in several teddy bear magazines and local papers, along with awards in several international competitions. Her style in life and in bear making has a sense of freedom to it that flows. "I never really plan what I am going to make. I like to have a little spark of an idea and just go with the flow." Sometimes, a craft fair may have a theme and she will try to work with that but, she said, "either way, the bears have a mind of their own and turn out the way that they want to." Where is Brierley in South Yorkshire England?